A new A.S. King? Hell yes. Not only is her writing incredible, her works consistently push the limits of genre and form in order to create something wholly new. Whenever someone at work asks me for a challenging YA novel, I point them in A.S. King’s direction. 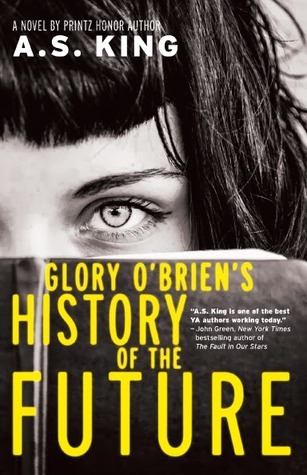 Glory O’Brien’s History of the Future sounds exciting and avant-garde, exactly what I’ve come to expect from her novels. A little bit science-fiction, a little bit contemporary coming of age story, this one sounds like a winner. Wow, this sounds really good. This is the first I’ve heard of it. I’ll be adding this to my list for sure! Here’s my WOW. If you like weirdness and great writing, you’ll love A.S. King! I try to pick up one of her books whenever I feel a YA burnout coming on. She’s just so original! I would’ve been fangirling so hard! She can churn out compelling and unique plot lines like no other.